The IFO has posted a revised agenda for the upcoming performance-based budget and tax credit review hearings. Click on the hyperlink above to access the five performance-based budget reviews and presentations. The IFO has posted the agenda for upcoming performance-based budget and tax credit review hearings. The IFO has posted the schedule for upcoming performance-based budget and tax credit review hearings. On October 15, Deputy Director Brenda Warburton gave a presentation to the Performance-Based Budget Board which provided an update regarding Act 48 implementation. The IFO has posted the schedule for upcoming performance-based budgets and tax credit reviews. 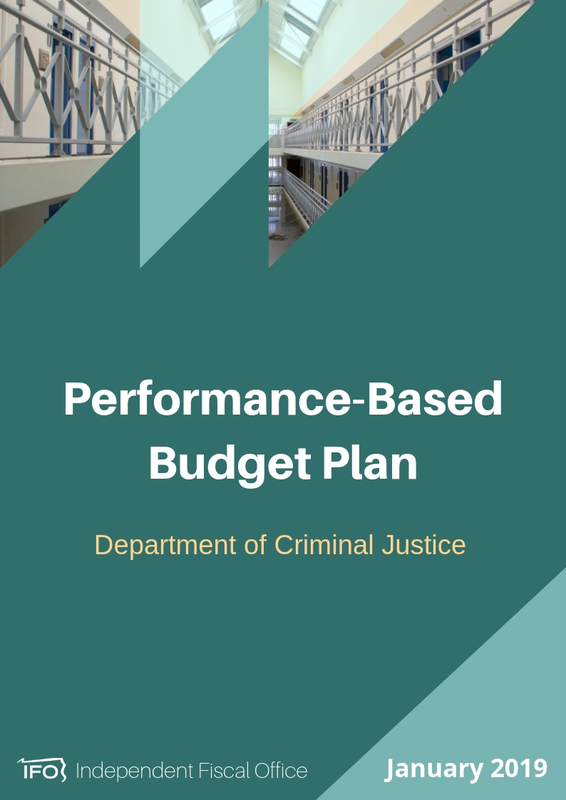 At the request of the General Assembly, the IFO has published a performance measurement report for the Department of Corrections (DOC) in advance of the agency’s budget hearings. The report includes agency cost-drivers, performance metrics and multi-state comparisons. The DOC report arises from the IFO’s 2016 report, “Using Performance Measures in the State Budget,” in which the office outlined options for performance measurement and provided a prototype report that could be integrated into the state budget process and utilized during annual budget hearings. Discusses performance-based budgeting and how it could be integrated into Pennsylvania's budget process. Highlights how other states are effectively using performance measures in their budget systems. Includes a prototype report which could be used in agency budget hearings and provides a method for quick integration.